Nothing feels so right like walking with your head high into your stunning office furnished with warm wood, pop art photographs, sweeping counters, a polished floor, and a big TV somewhere at the corner of the complex. This is a dream come true office and I bet you smile at its impressive walls every day. What baffles the mind is when your Doctor tells you that your very own mind-blowing workspace is the reason you feel tiredness before lunchtime. It is the cause of your mental fatigue, daily headaches, itchy irritable eyes and that it is generally why you get unproductive at work as the day unfolds. Have you been feeling this way lately? Your office is stubbing you to death and you wonâ€™t notice it because its brightly coloured warm walls are smiling at you as you softly die. The problem is that you are not getting good air quality in your office but are instead breathing in toxins from that lovely piece of pressed wood furniture, the dusty carpet and the wall painting that you stare at each day. A study by Harvard, Syracuse University found that the biggest cause of office unproductivity is poor air quality. 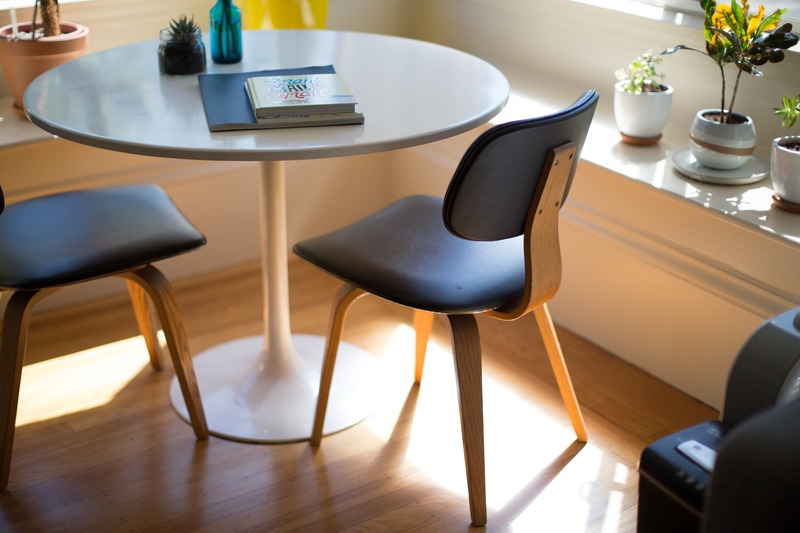 The research further says that chemicals known as volatile organic compounds emitted from paints, flooring and pressed furniture are the major cause of office poor indoor quality. Other issues such as insufficient ventilation where little fresh air replaces used air are also a concern. Sometimes this may happen because your air conditioner isnâ€™t enough to cover your workspace. Other times it may be that the air conditioner is not functioning well and therefore producing humid instead of fresh air-humid is a pollutant to indoor air quality. Offices located near the highway or near factories are also disposed to bad air quality. Before you rent an office space, or if you are purchasing land to build your own, you must check to ensure that you do not build near highly carbon dioxide producing places such as factories. If you get the chance, go for a place that is not near the highway either. To enjoy productivity in the office, there needs to be consistent entry of fresh air, Â reasonable space and natural light among others to invigorate the ability to think and reason. By using a VOC sensor: This tool has the capacity to measure organic compounds.Â It can detect the bad odour that is coming from a carpet and the components coming from the people filling a room. By using a carbon dioxide meter: This special tool works best in carbon houses for which it was created. However, when put in your office space, it will perfectly measure the carbon dioxide put out by people. To use this tool, you need to have another VOC tester to help measure chemicals. To get the best out of your testing, it is better to employ professionals to do the job. Professionals have better facilities to carry out accurate tests in a laboratory. There are hundreds of ways to improve indoor air quality but the most effective way is to bring nature into the workspace. There are several ways you can connect with nature in your office without carrying mud on your shoes. One great way to do so is to plant plant and plant! Â If you fear to be attacked by organisms from the plants grown indoors, then it is better to kill the micro-organisms but continue benefiting from the freshness of the plants because indeed your office can suffer from organisms crawling into your drawers and tables. Plant small trees in your officeâ€™s relaxing area so that you feel like you are in the middle of a forest. Plant Beanbags, smooth grass, beautiful plants and colorful flowers. One way companies are encouraging green in the indoors is by getting their staff to get involved in the planting. You may ask each of your staff to plant something and tag their names to it to honor them for their green efforts. The beauty of bringing green into the office space is that if you can stay in touch with nature all day, your productivity will increase five times fold. Â· Vacuum twice a week: While at it, vacuum each area for longer. Make sure that your vacuum has a strong suction and alternating brushes. Donâ€™t forget to clean your filter by washing it at the end of each vacuum. Â· Mop every after you vacuum: Mopping with clean water-no need for detergents will clear off the dust that may have remained from the vacuuming. Â· Have doormats at every entry point:Â Never undermine the power of a doormat. Doormats will help minimize the dirt brought into the office by trapping some of it from the shoes. Some things donâ€™t need any effort yet they can save us a big deal. If our productivity increases when we connect with nature, then why not take our office meetings in the outdoor? After all, during a meeting is when our brains need to be most productive so that we can brainstorm ideas. Letâ€™s take nature walks or even jog as we meet with clients. The world is ours, we donâ€™t always have to meet in suits over breakfast in closed doors. We can change the rules! And save our lives. I know not everyone bought the idea of meeting in the outdoors which is fine because I have another brilliant idea for you. Letâ€™s have engineers construct green friendly structures. Buildings with bigger space, lots of ventilation, less indoor toxins and even running water so that the indoor lovers can still breath perfectly while at work behind closed doors. What other ways can we bring nature indoors? Is there something you tried that worked perfectly at your office? Let me know in the comments. Letâ€™s take the green workspace conversation to places. She writes about fitness, travel, technology and gathers news stories for large media outlets in her part of the World. She has been doing this for the past 11 years and enjoys every bit of it. Esther is a wife and mothers two adorable girls and one brilliant boy. When she's not writing, she loves to relax by the beach with her family. Why Changing Your Relationship With Your Breath Will Increase Athletic Performance, Reduce Anxiety and Increase Overall Well-being.